Flexible cables with braided copper wire shield. 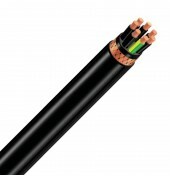 These cable resist to mineral oils. Suitable for use inside buildings, especially for connecting parts of machines used for manufacturing, including machine tools. Highly recommended for installations that required electromagnetic protection to prevent the generation of parasite currents in other circuits. Easy to handle during installation and laying, they are rodent-proof. 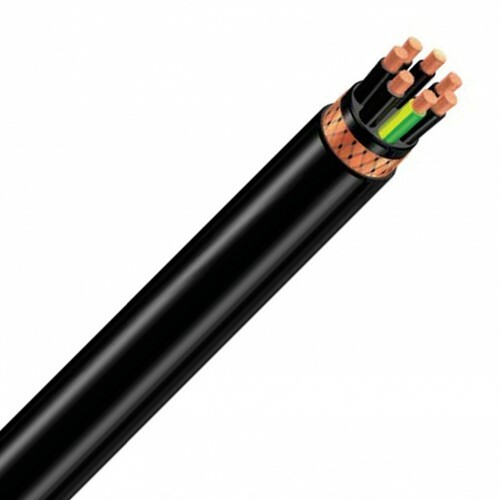 Flexible copper conductor class 5, Polyvinyl chloride (PVC) insulation, Copper braid screen, Acrylic polyvinyl chloride (flexible PVC) sheath.